Sparked by the launch of UT’s Engineering Facilities Master Plan a decade ago, the Cockrell School of Engineering is in the midst of a comprehensive facilities expansion and renewal. 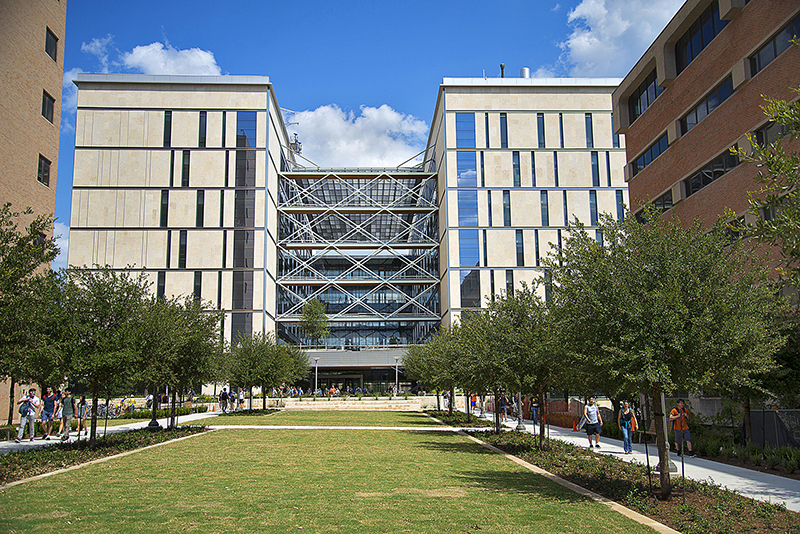 Most recently, the 430,000-square-foot Engineering Education and Research Center opened its doors in fall 2017, providing the Texas Engineering community with a world-class hub for multidisciplinary innovation. And with the opening of the renovated Aerospace Engineering Building, construction of the new Energy Engineering Building and potential renovations to various student and lab spaces across campus, the Cockrell School aims to provide engineering facilities that are among the best in the nation. The centerpiece of the building, offering students 23,000 square feet of makerspaces for designing and building everything from solar cars and satellites to robots and biomedical sensors. The spacious conference rooms will provide a gathering place for faculty, students and other guests, and the stunning 299-seat auditorium will host visiting lecturers, seminars and workshops. State-of-the-art spaces where electrical and computer engineering undergraduate students utilize the latest technologies to develop sensors, wearable technologies and more. The Cockrell School’s first space dedicated to entrepreneurship training and commercialization programming, headed by Bob Metcalfe, professor in innovation and inventor of the Ethernet. Hub for tutoring and studying and home of the McKinney Engineering Library, one of the top academic engineering libraries in the nation with a collection of over 165,000 volumes. 107 W. Dean Keeton St.
204 E. Dean Keeton St.
10210 E H Sellards Rd.